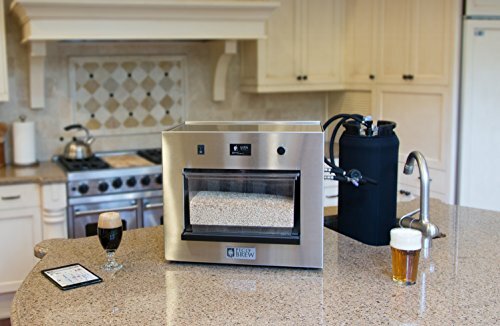 PicoBrew Zymatic Large Beer Brewing Appliance - Moar Stuff - You don't need it but you know you want it. 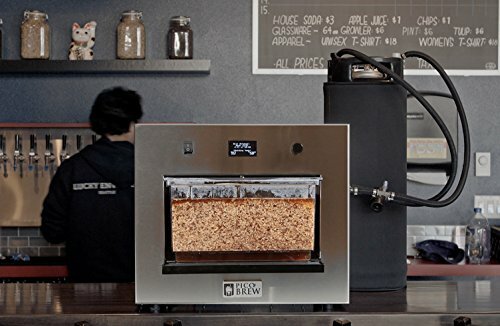 If you like to brew your own beer but the Pico Beer Brewing Appliance is just not big enough for you then you need the PicoBrew Zymatic which is their large beer brewing appliance. 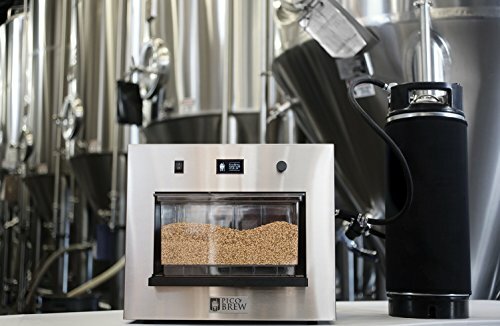 Capable of brewing up to 2.5 gallons (9.5 liters) of delicious, delicious beer at a time, this appliance is for serious brewers only. One look at the price tag will tell you that but, it’s still cool to dream, right? 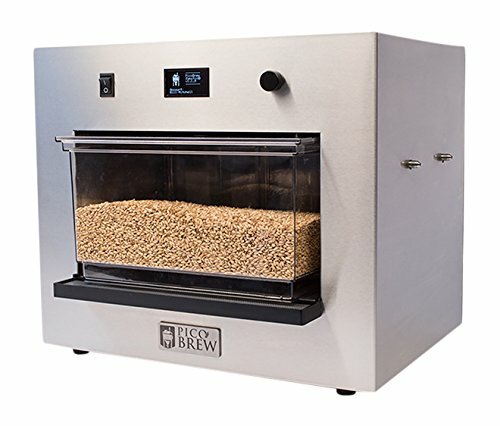 Just like its smaller brother, all you have to do is load the ingredients and start the 3.5 hour brew cycle. 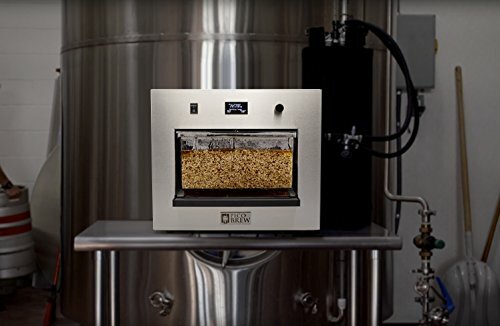 The fresh beer will then ferment in the keg for single-vessel end-to-end brewing. 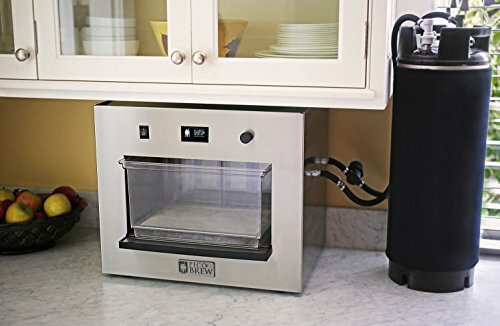 No messy transfers or risking of spills required. At the end of the fermentation period (which might take a couple of weeks) you get your reward…. beer and lots of it. Well, I suppose that depends on your definition of “lots” but, if you finish up a batch and start a new one right away, you can have (almost) a full 12 oz beer a day until the next batch is ready in 2 weeks. That’s not bad. Product Dimensions: 20.5 x 17 x 14.5 inches. 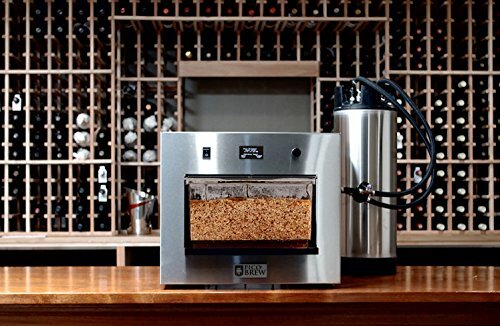 Makes up to 2.5 gallons of beer at a time, automatically. No mess, no transfers or spills, just beer.